Make a statement with vanishing edge pools. Otherwise known as infinity pools, this design is celebrated for its smooth, glassy appearance and lack of supporting walls – which creates a seamless transition between the water and the surfacing material. This option offers a profoundly modern look and is ideal for customers wishing to add a contemporary twist to their backyard paradise. 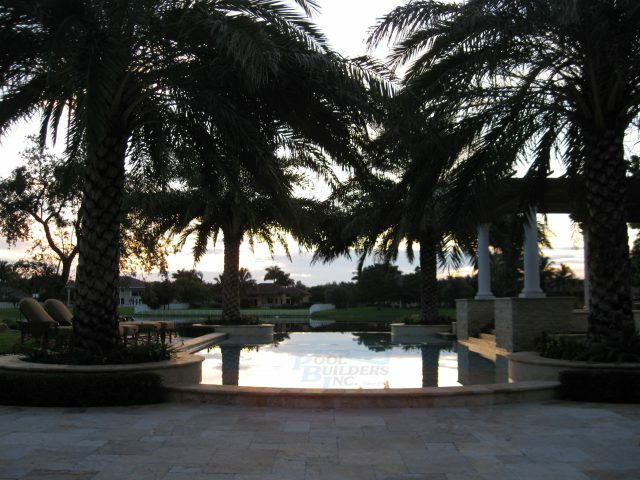 Here at Pool Builders Inc., we’re recognized as leading swimming pool builders and innovators – highlighted by our numerous awards and membership in the elite Master Pools Guild. All our professionals are chosen for their exceptional design and construction skills, allowing us to create truly personalized results that enhance the character and usability of your home. Vanishing edge pools are achieved through overflow technology, whereby water will flow into an unseen basin and is then recycled back into the pool – creating an illusion of a ‘vanishing edge’. 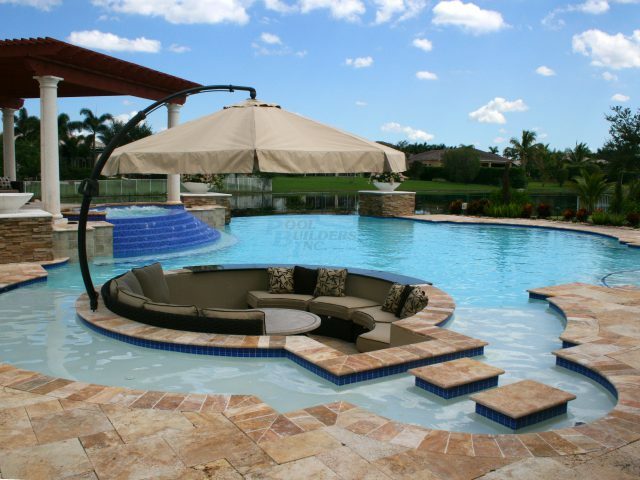 For reassurance, we offer a lifetime structural warranty and free, no obligation estimates on all pools – to further discuss your plans and concepts, please get in touch with our advisors today. We serve a broad area of Fort Lauderdale and South Florida.